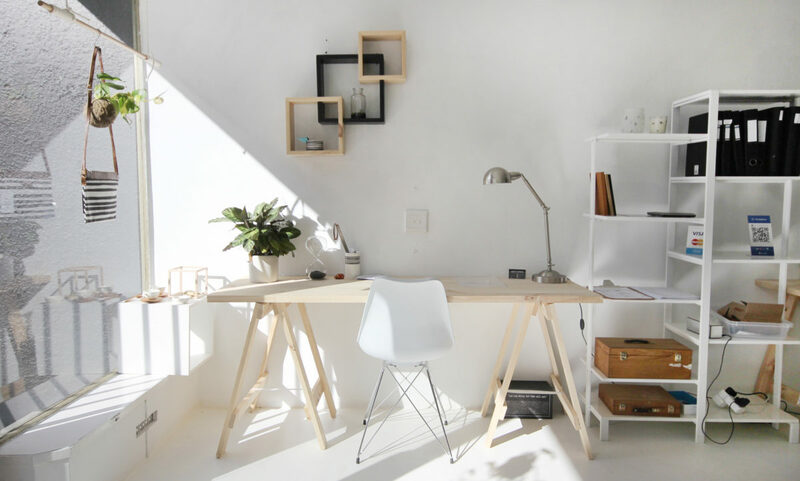 Love Milo, a design store in Cape Town. Along with Cape Town’s natural splendors, the city’s metropolitan attractions only add to its appeal. Top notch restaurants and a burgeoning music and arts scene ensure the city is always ripe with concerts, events, and trendy dining options—along with a well-established selection of independent shops and labels that guarantee a not-to-be-missed shopping experience. Despite the fact that cheap imports have led to the loss of nearly two-thirds of jobs within Cape Town’s clothing sector, local designers and brands continue to push forward and weave an exceptionally beautiful design culture. A dedication to regionally produced goods reigns supreme at almost every boutique and concept store, but even without their homegrown appeal, the products are something special. From brightly colored printed clothing; industrial handcrafted jewelry; ceramic masterpieces; and innovative, eco-friendly accessories—Cape Town’s retail offerings aren’t simply run-of-the-mill souvenirs. They’re full of legitimately stylish pieces that’ll have you dying to return to the city for more. Below, nine of the best spots to shop them all. 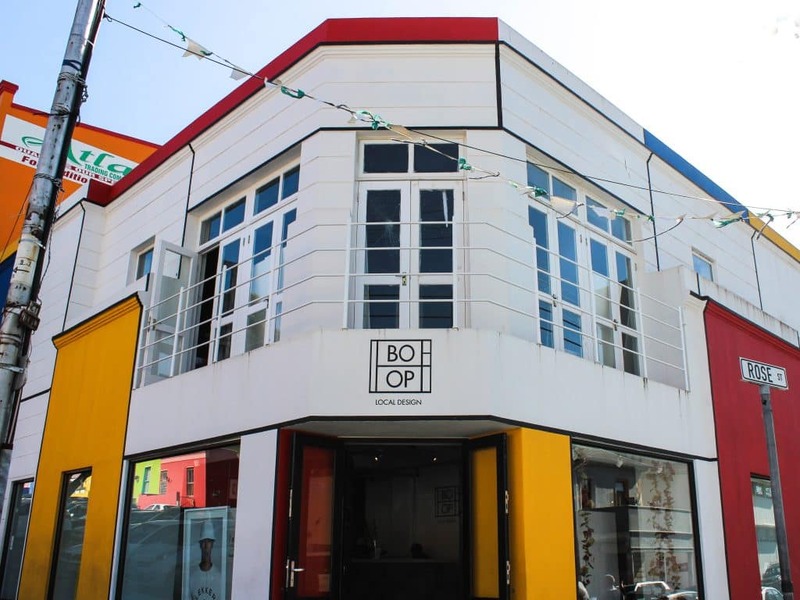 Bo-Op, a local design and apparel shop. 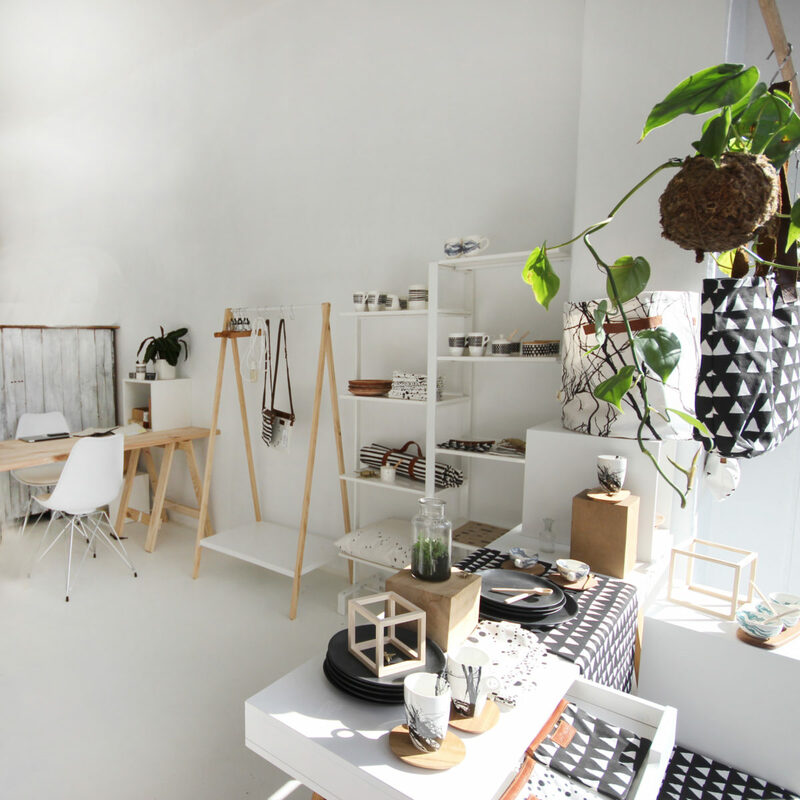 Located in Cape Town’s colorful Bo-Kaap neighborhood, Bo-Op carries a relatively small but diverse selection of local goods and designers. Highlights include Float Apparel, a buzzy new streetwear label; Ballo, an eco-conscious sunglasses brand; Meraki, a jewelry line that uses raw stones, recycled brass, and sterling silver to create artistic trinkets; and Good Good Good, a label that crafts elevated streetwear-style separates from luxury woven fabrics. As an added perk, a small Deluxe Coffee shop, where you can get an excellent cup of joe, is adjoined to the store. With a store design that’s almost as good as the products it stocks, Merchants on Long is a must for design and fashion nerds alike. The brilliantly curated concept store (it claims to be the first one in Africa) carries upscale products designed and made in Africa and is the place to go if you’re looking for a few extra special pieces. Brands carried at Merchants include Thebe Magugu, ethical fashion brand Lemlem, Anna Roshholt Jewelry, Brother Vellies, Chulaap, and more. You can shop everything from brightly patterned dresses to premium leather goods to traditional desert booties. Entering Chandler House feels a bit like walking into the apartment of an eclectic art enthusiast with throwback design taste. The walls of the gallery-slash-studio-slash-shop are covered from top to bottom with framed artwork by local artists, all of which are for sale, yet somehow the space doesn’t feel overcrowded. If a sketch or painting isn’t what you’re after (there are tons to choose from, and they are all gorgeous), the shop also carries ceramics, linens, stationary, and more, all by local artisans. 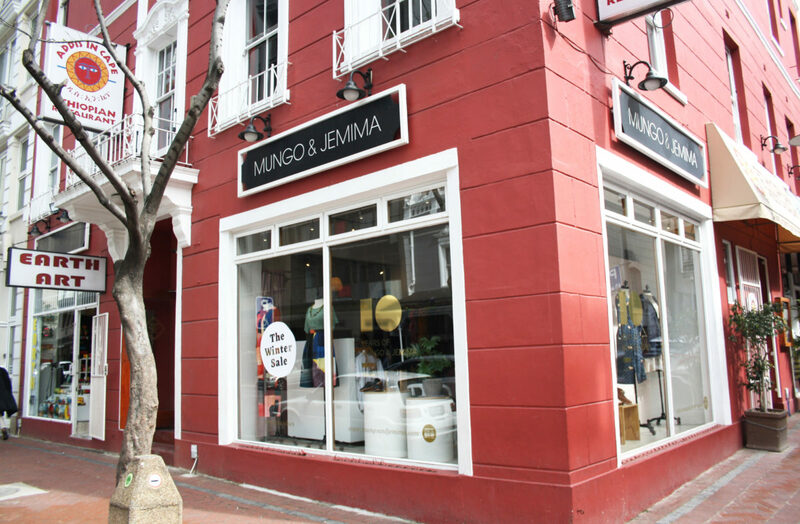 Mungo & Jemima on Longstreet. Known for stocking playful offerings created exclusively by South African designers, Mungo & Jemima is a hit for pieces that are both affordable and fun. Think sloth and tiger prints, bright and breezy rompers, necklaces crafted from neon threads, and swimsuits blooming with florals. Their flagship store is on Longstreet, but you can find other locations at the V&A Waterfront and in Stellenbosch. Crafted from locally-sourced leather and canvas, Chapel bags feel both luxurious and practical, and boast a paradoxically modern yet old school charm. 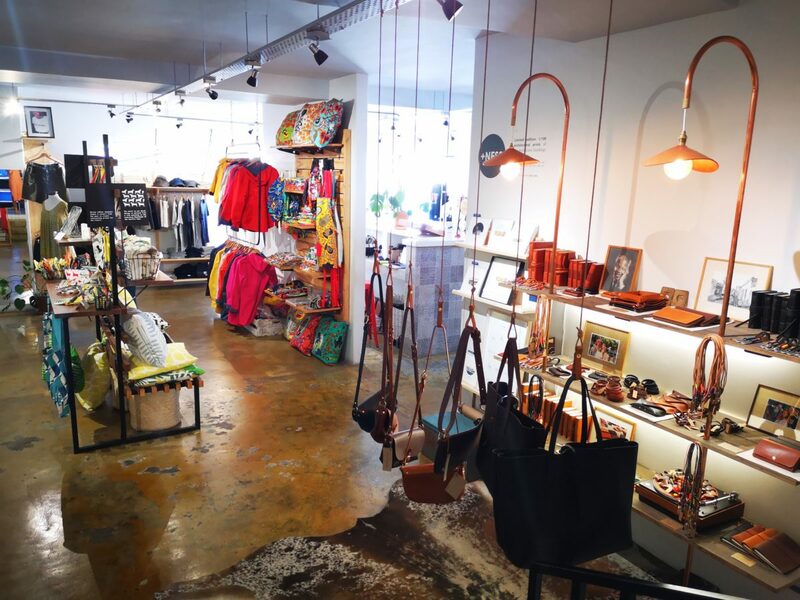 At their flagship store in Woodstock, Cape Town’s up-and-coming fashion and arts neighborhood, you’ll find supple leather backpacks, tote bags, laptop bags, and crossbody bags, as well as a bucket bag that rivals Mansur Gavriel’s signature style, but for half the price. Sunglasses and small leather goods are also up for grabs, so if you’re looking for a dose of classic cool, this is your spot. This is a shop that could hold its own alongside the best design stores in Brooklyn. Raw woods, weathered metals, and natural textiles make up the bulk of its offerings, which range from distressed shelves and glass lighting fixtures, to baking roller pins and minimalist-style ceramics. The store also sells homemade treats like fudge and ginger biscuits, and stocks some uber-cozy style basics that would make even the coolest of Copenhagen style stars swoon. Love Milo, a local shop known for ethically made homeware. 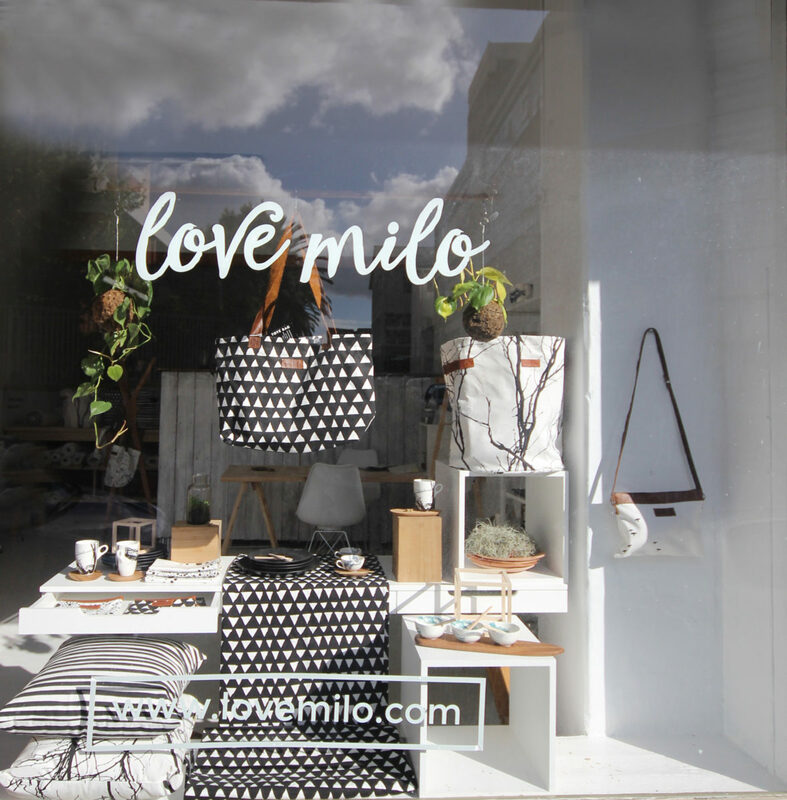 Their dedication to sustainability and championing local craftsmen renders Love Milo a must-visit for beautiful and ethically made homeware. The store carries cushions, runners, cloth napkins, pinboards, cutlery, bags, and more, but the highlights are certainly their ceramics. Bowls, mugs, saucers and the like are decorated with spindly tree branches, trails of ants, delicate dragonfly wings, and other beautiful scenes from nature. Many pieces come with a wooden spoon or saucer, depending on its purpose. For a vintage shop full of special treasures, head to Dress Me Up in Woodstock. When you walk in, you’ll likely notice bedazzled captain’s hats and a lot of sequin-embellished pieces, which are the creations of the shop’s owner, Sally Louw. If you’re in Cape Town for AfrikaBurn or want to pick up a unique piece for another festival you’ll be attending, this is an optimal place to look. Along with the funky, up-cycled pieces are classic vintage styles, from silky floral dresses and lace-up boots, to embroidered denim and 80s-style blazers. Containing over 150 shops selling locally-crafted goods, the Watershed is a hole-in-one for excellent souvenirs and stylish wardrobe additions. Located at the V&A Waterfront and near the Zeitz Museum of Contemporary Art Africa (two of Cape Town’s must-visit attractions), it’s as convenient as a shopping stop can get. Whether you’re looking for handcrafted rugs and fabrics or colorful strands of beads, sleek linen dresses or sophisticated jewelry, the Watershed will have something to pique your fancy and then some.